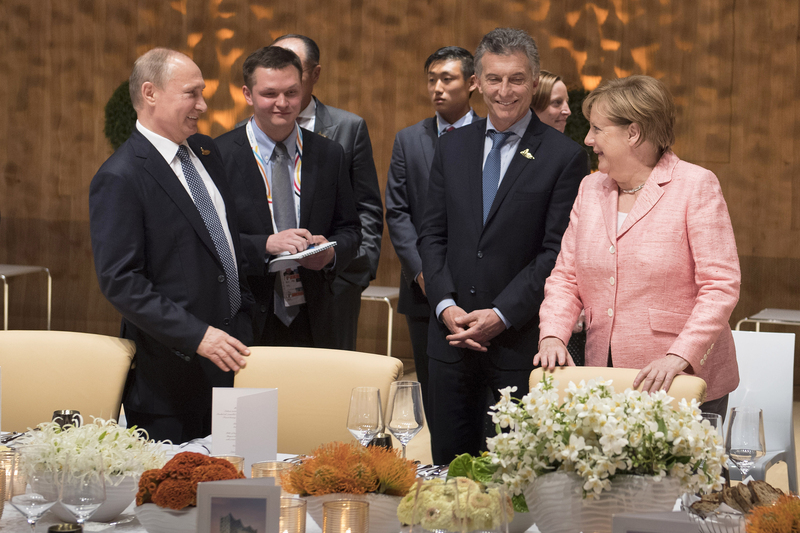 Chancellor Angela Merkel talking to Russia's President Vladimir Putin and the President of Argentina, Mauricio Macri, before the start of the banquet in the Elbphilharmonie. 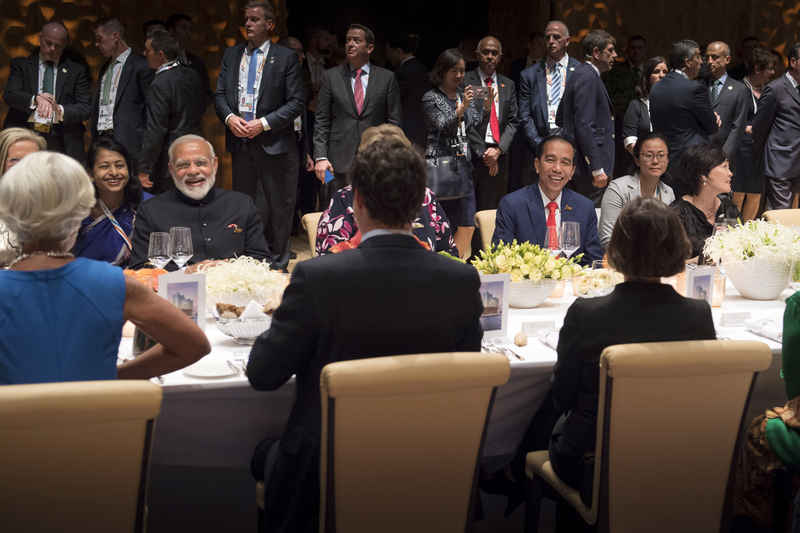 The G20 leaders and guests plus their accompanying partners during the banquet in the Elbphilharmonie. 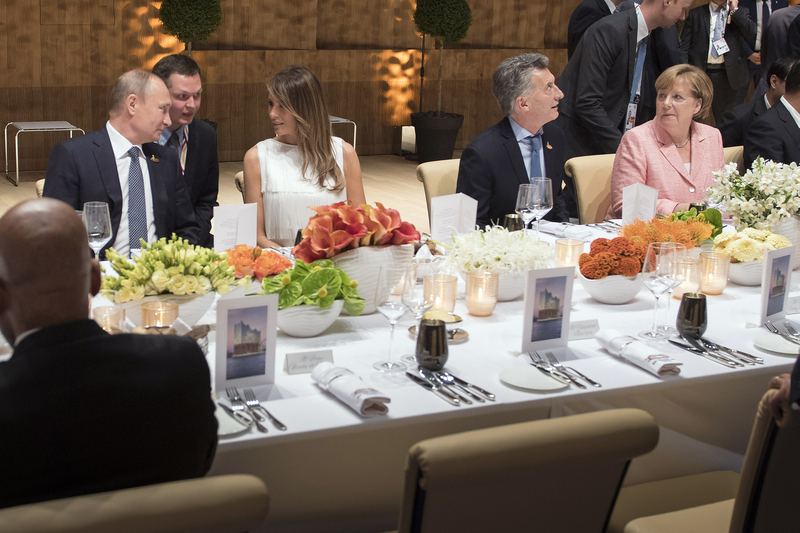 Russia's President Vladimir Putin, Melania Trump, wife of the US President , Mauricio Macri, President of Argentina, and Chancellor Angela Merkel at the banquet in the Elbphilharmonie. 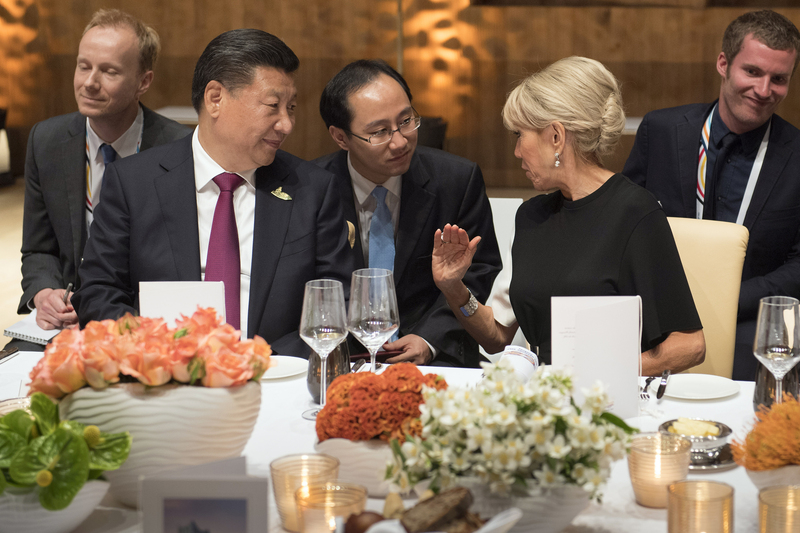 Xi Jinping, China's President, and Brigitte Macron talking during the banquet in the Elbphilharmonie. 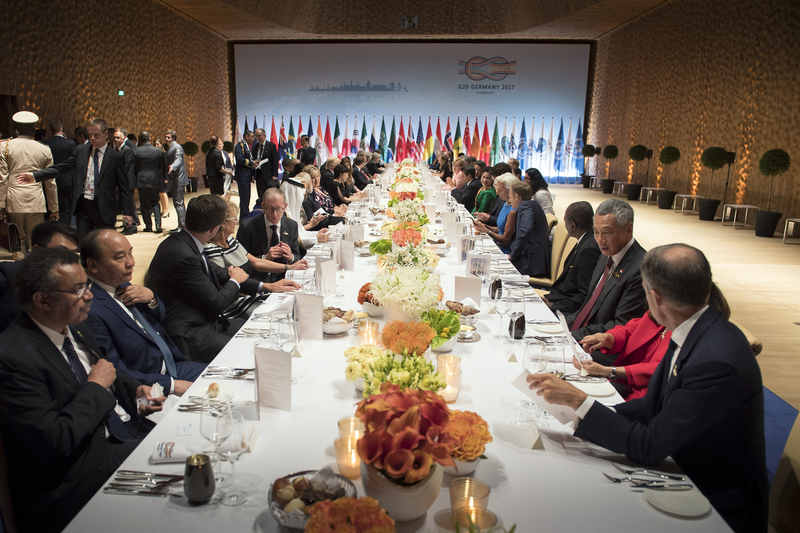 The G20 leaders and guests plus their accompanying partners arriving at the Elbphilharmonie for the banquet in the evening. 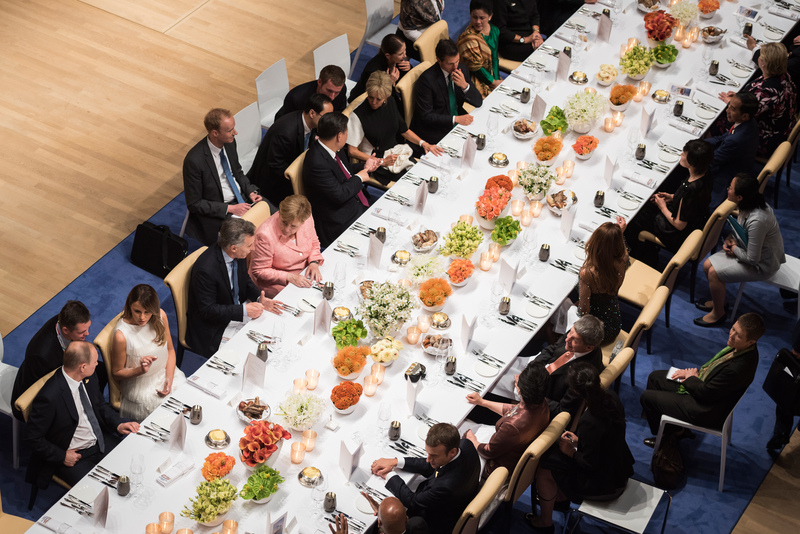 The G20 heads of state and government and their accompanying partners enjoyed a banquet in the Elbphilharmonie. 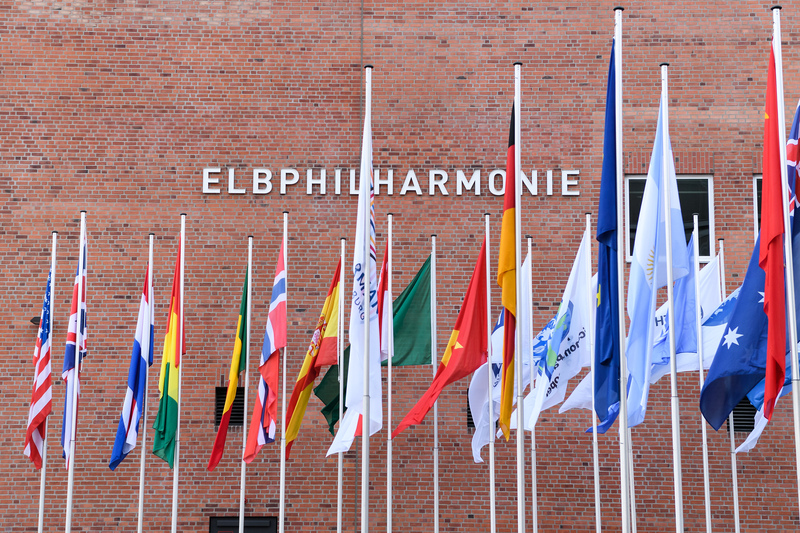 Flags of the G20 countries in front of the Elbphilharmonie. 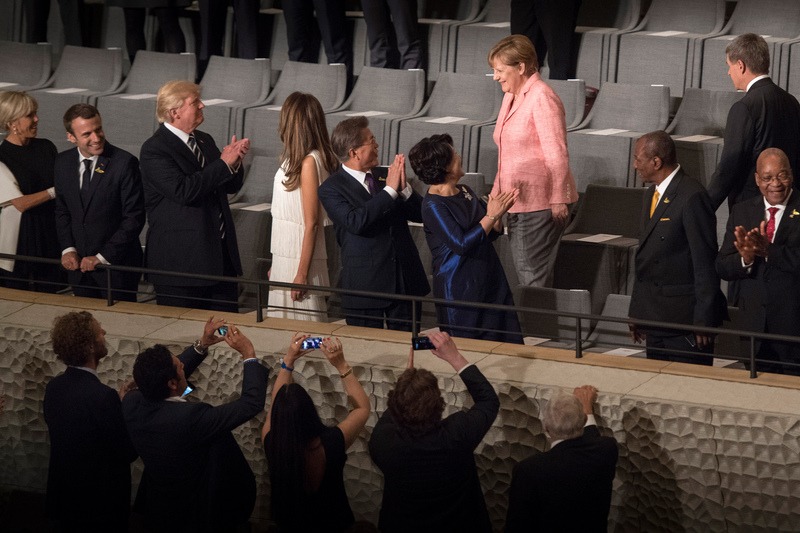 Chancellor Angela Merkel and her husband Joachim Sauer arrive for the concert in the Elbphilharmonie Concert Hall during the G20 Summit. 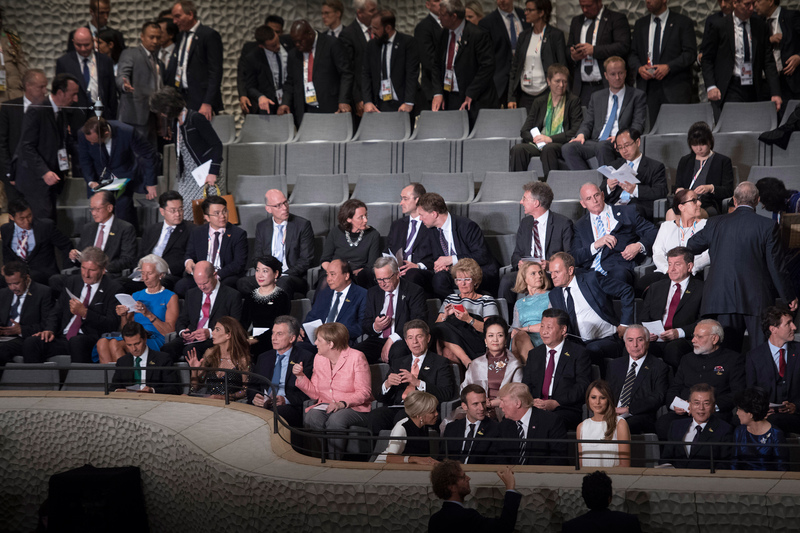 The G20 heads of state and government and their accompanying partners waiting for the concert in the Elbphilharmonie Concert Hall to start.